We already interviewed Navid Khonsari from Ink Stories about their game 1979 Revolution: Black Friday, about the Iranian Revolution. Nowadays, war has become a common topic approached in video games and seems to have a special meaning, but what are the reasons and the way of developing this type of game? With the example of your game 1979 Revolution: Black Friday, do you think that the wars have an impact on the topics approached in the developed games? There’s definitely inspiration being pulled from lots of contemporary and historical wars that are prevalent in gaming. From the beginning, games have been historically about war (Call of Duty/Total War/Civilization/etc.) but they’ve sort of have to lean more towards the genre aspect of the game than embracing the topical nature of the narrative. There’s a lot of people now that are thinking about gaming and the role of the player in a more emotional experience, and ultimately what we were interested in was creating a space and tone in the story that could see you playing through a “war” from the perspective of an everyday citizen, rather than a super soldier or some sort of commander. Would you say that mobile gaming can help people to understand the situation in these countries? In which way? It definitely can – there’s an accessibility to mobile gaming that has the ability to reach across borders and materialize on people’s phones. It’s a communication tool, much like texting/video chatting in different form – that was one of the goals of 1979 Revolution – to showcase this period of history that is either grossly misunderstood or marginalized – for a worldwide audience. 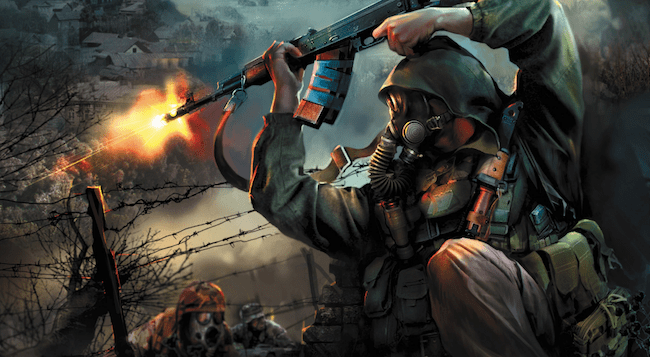 War is a sensitive topic to approach, even in gaming. 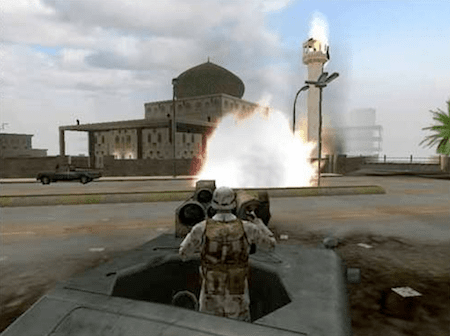 But at the same time war games have always been extremely popular among gamers. How do you explain that? I think there’s an immersive quality to war and revolution in games that are the breeding grounds for drama and conflict. Going back to early games like Balance of Power, the geopolitics and ability of gaming to be a form that educates and empathizes has always been there – but I think there’s often a misconception of what gamers “expect” out of a war game, and the industry is somewhat responsible for catering to that wish fulfillment. There’s a large movement now for “realism” in gaming – playable characters in FPS that aren’t bullet sponges, open-world games that feature vivid characters and scarce resources – all of this, even if it’s not coming from a traditional “war setting” game are somewhat keying in on this feeling that’s permeating gaming where people want to be transported to something/somewhere and have a “new” experience. You developed a game about the Iranian Revolution. Was it difficult to recount this part of History? How did you face people’s reaction, eventually the ones having experienced this event? 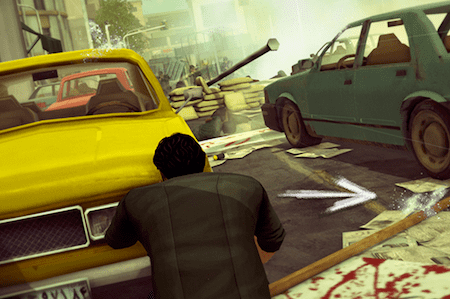 In some ways it felt like a difficult period of history to recount – mostly because the past nearly forty years since the Revolution, the politics of both sides have become more and more fraught – so we wanted to make an experience that gave the player the ability to “choose” their morality and politics in this world, which was much more interesting for us than forcing any of our own views on the player. The good thing about the Revolution was that since it was so under-represented in Western culture – we were able to be most people’s “gateway” to this, so to speak – and that gave us a great deal of responsibility, but also meant people had no pre-conceived experiences like they might have had this been set in WWII and people had played CoD previously. It was very interesting to see people who lived through the Revolution play the game – we interviewed over 40 people during the research for the game who lived through the events (in all walks of life) and that helped us to craft a layered/varied narrative. What we saw a lot of was second-generation Iranian’s playing the games with their parents, who had lived through the revolution – or them playing themselves on iPads/mobile platforms. What kind of advices could you give to studios or indie developers willing to create a war game? One of the things we made a conscious choice of during production, and in retrospect, I think was very important to tying in this historical game to contemporary culture, was localizing the game into non-traditional languages that emphasized cultures that have been somewhat marginalized in gaming. Ukrainian, Turkish, and more – we wanted this game to be a sort of inspiration to indie devs who were currently “in the thick of it” themselves, and I think the success of our game has proved to us that there is a world-wide hunger for these types of experiences. Ultimately, the best advice is to make what you know – because we had a deep understanding of Iranian culture and the history of the revolution, we were able to make a layered, compelling experience. For developer’s worldwide, make the experience one that only you could make, given your own understanding of your local culture.